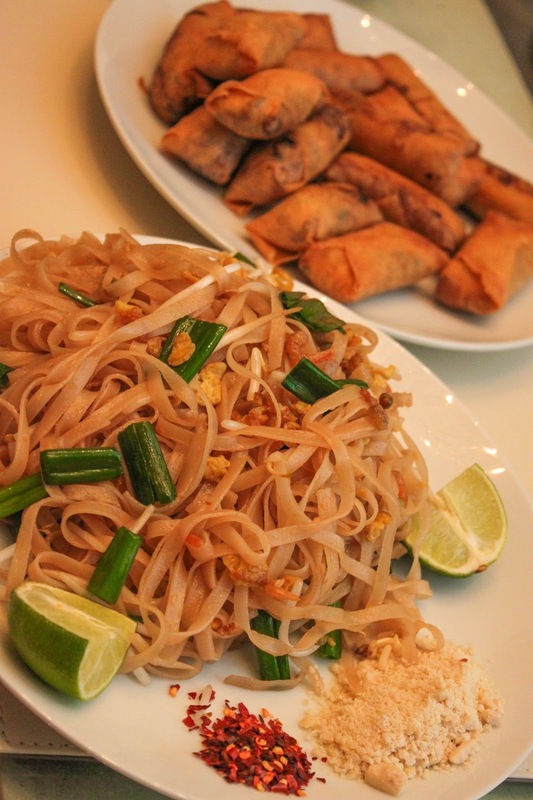 I miss Thailand so much, I’ve decided to recreate some of my Thai favourites at home. Mother and I embarked on making a few dishes from the Baan Thai Cookery School cookbook we received at the end of our course in Chiang Mai. I decided to take on the spring rolls, trying to remember all the details from the lesson whilst following very sparse method instructions. These contain pork, but they’re perfectly fine without or substituted with mushrooms – oyster mushrooms are recommended. Mum made the effort to go to our local oriental supermarket to hunt down the fish and oyster sauces, and it turns out they sell them in Tesco. You can even get the spring roll wrappers in Waitrose. Put the oil in the wok, and lightly fry the garlic. 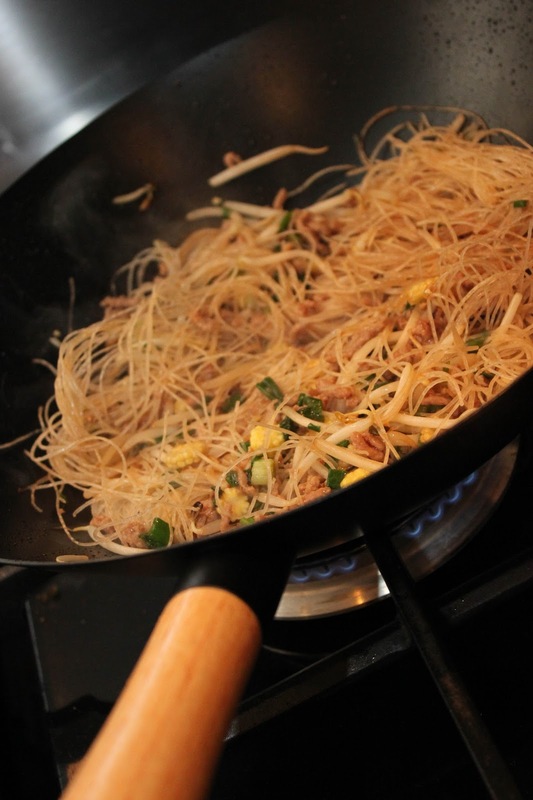 Add the minced pork (or vegetarian alternative) and fry until almost cooked before adding the fish sauce, oyster sauce and sugar. Fry the mince until you’re happy it’s cooked through. 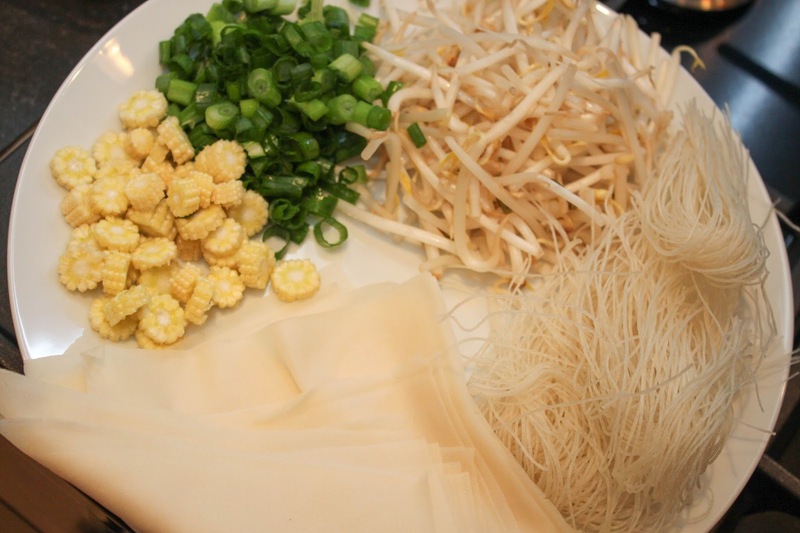 Add the glass noodles (which will be completely brittle but fear not), bean sprouts and spring onion. Pour in the water and mix so all the noodles are coated. 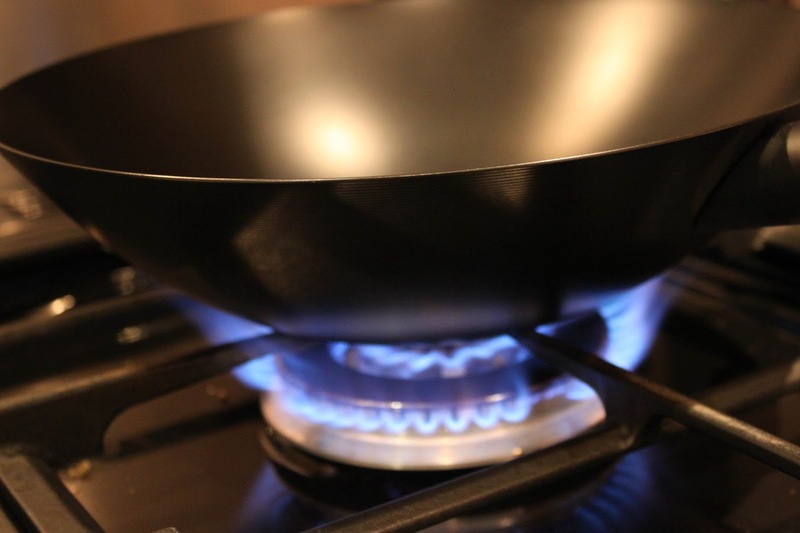 Don’t let anything stick to your wok, but don’t go crazy with keeping it moving or the noodles won’t have time in the water to cook. Soon enough, your noodles will be soft and look something like mine. 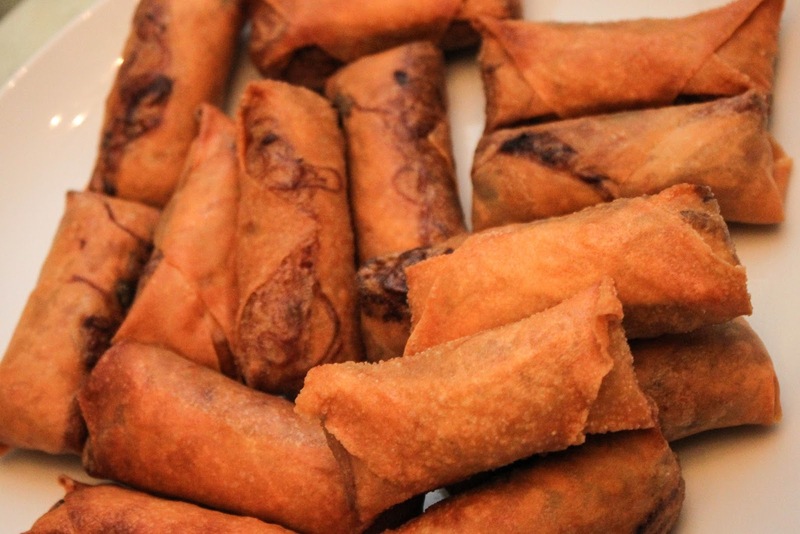 Take your first spring roll sheet, and have it in front of you with a corner pointing towards you – as a diamond rather than a square. 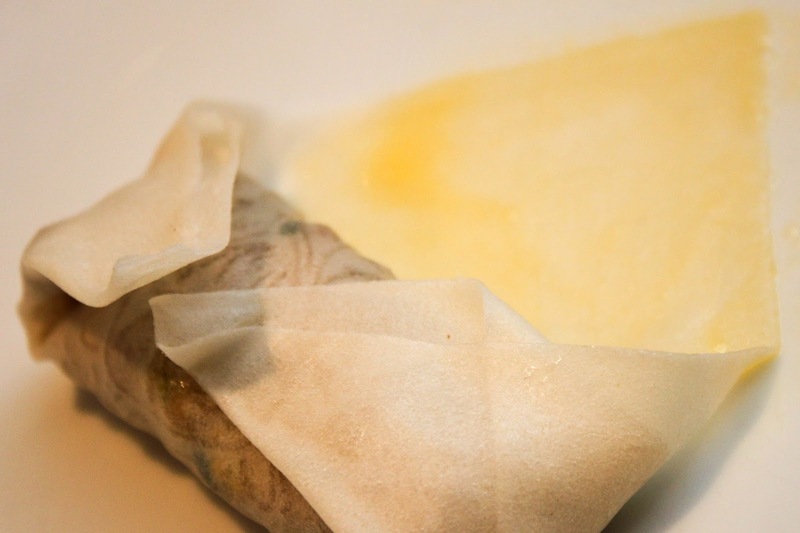 Place a heaped tablespoon of the filling on the spring roll paper about a third of the way up. Now… do this. 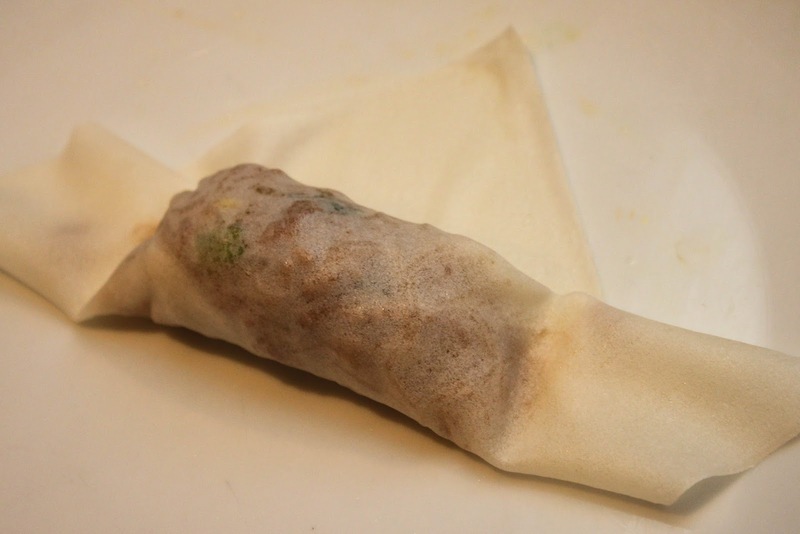 There are lots of spring roll folding techniques, spend a few minutes on YouTube if you need some real guidance. The important thing is that all the sides are sealed before they get deep fried, so give your last fold a good brush of beaten egg for sticking power. 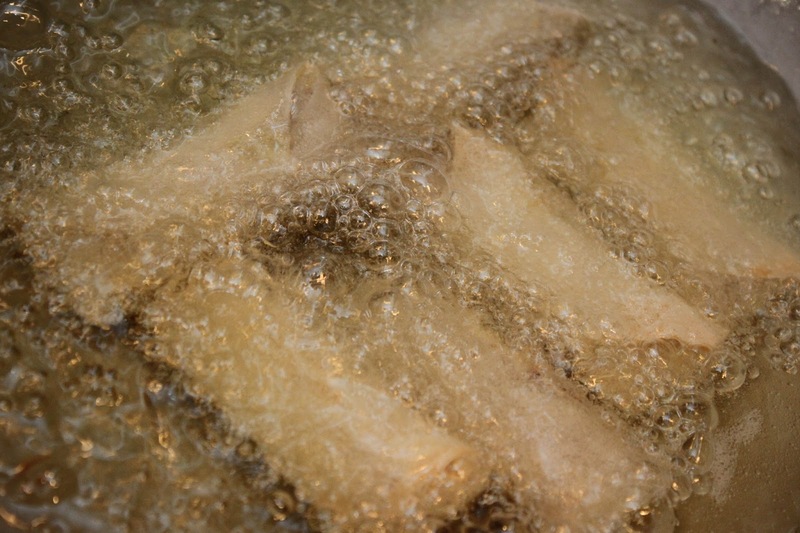 Once you’ve assembled all your rolls, get deep frying until golden brown! Get the sweet chilli sauce out and get stuck in! 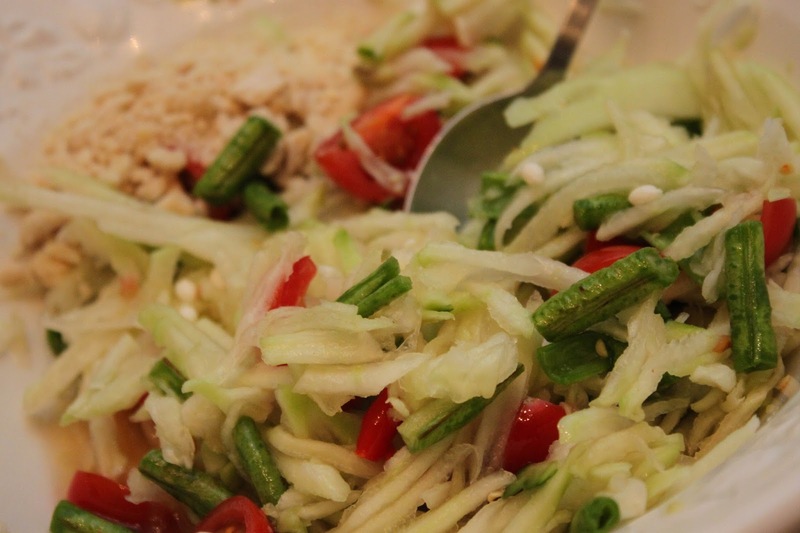 Mum also had a go at papaya salad, pad thai and minced pork but we weren’t happy enough with all the outcomes to share. 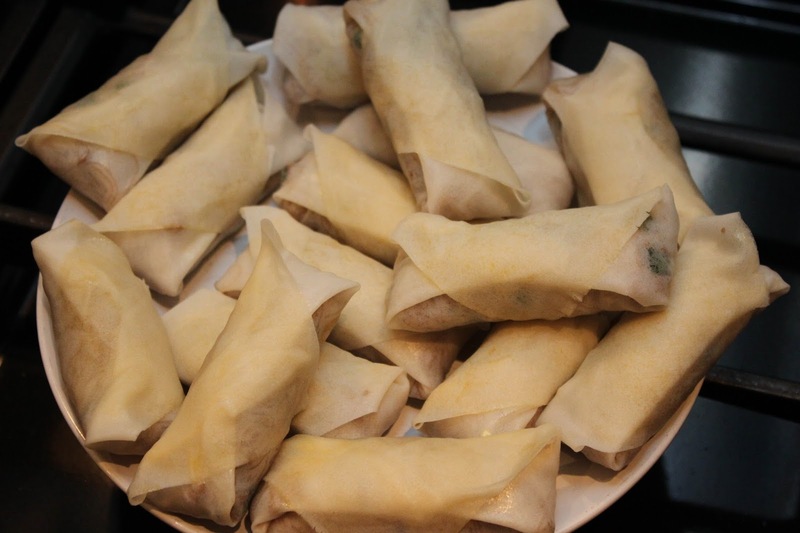 The spring rolls however are a must make. Knock them up for someone you love this Valentine’s weekend!